We Bet You Didn't Know These Famous Actors Voiced These Cartoon Characters! We Bet You Didn’t Know These Famous Actors Voiced These Cartoon Characters! Every actor gets their start somewhere. Sometimes that break they’ve been waiting for is on the stage or screen. Other times it’s in the sound booth. You would be surprised how many famous actors and actresses voiced beloved cartoon characters. 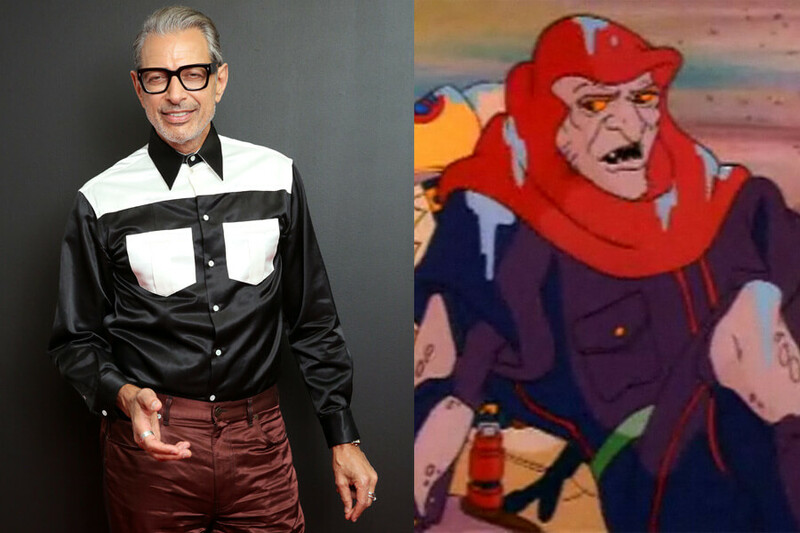 Did you ever realize watching Captain Planet that Jeff Goldblum was the voice of Verminous Skumm? Do you know what classic movie character Vin Diesel voiced before becoming Groot? We have the answer, and it will leave you stunned! Start reading to learn all about Diesil, Goldblum, and other amazing talents who have lent their voices to cartoon classics. 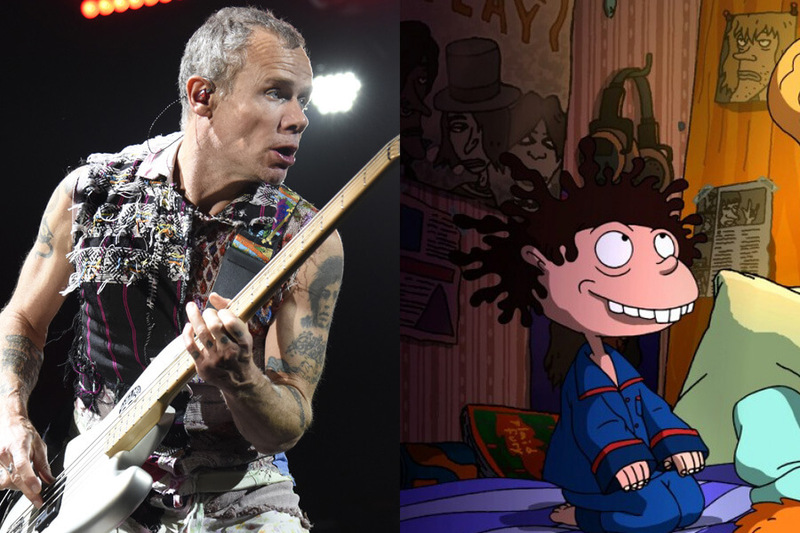 We bet you didn’t know which funky bass player voiced one of the Thornberrys. We were shocked to lean that Fergie, who became famous with the Black Eyed Peas, got her first taste of Hollywood voicing Sally from Peanuts. A true child of the ’80s, the pop star voiced the iconic character in three Charlie Brown specials. 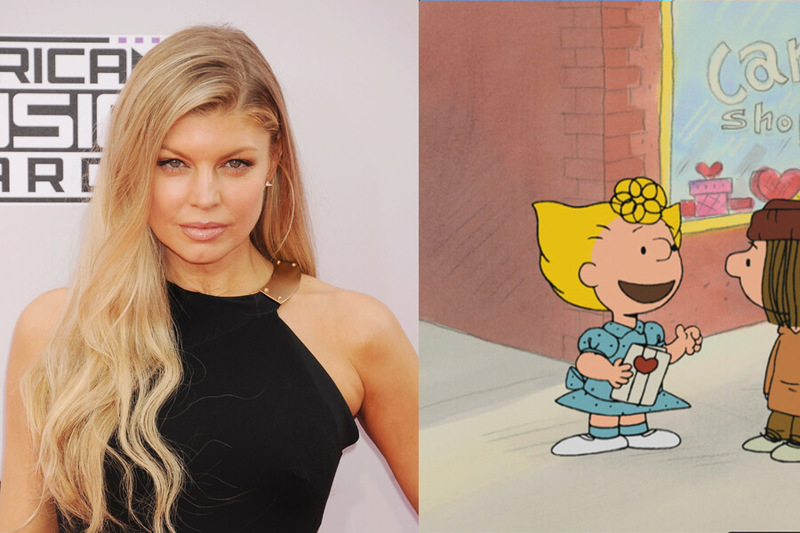 Fergie was nine-years-old when she first voiced Sally in It’s Flashbeagle, Charlie Brown. One year later she returned for Snoopy’s Getting Married, Charlie Brown and The Charlie Brown and Snoopy Show. That was 1984. In 2003, she joined the Black Eyes Peas for the album Elephunk. First off, we assure you that is, in fact, how to spell Berenstain. It looked strange to us also. 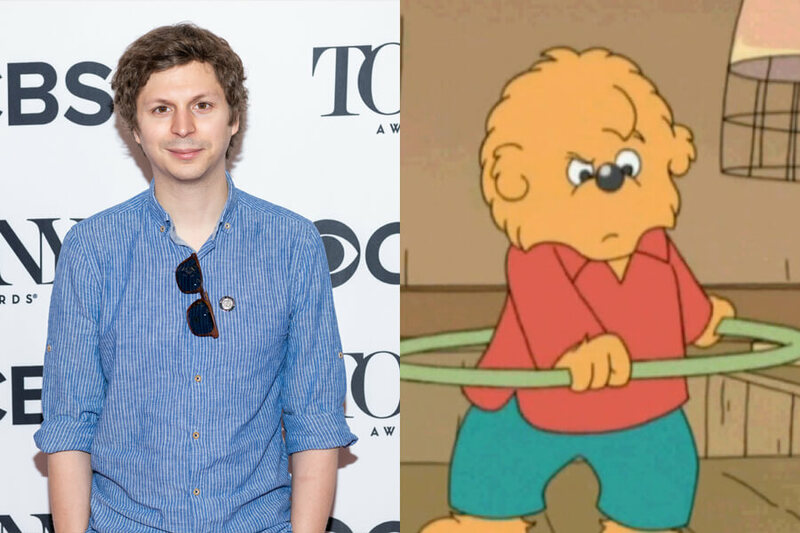 Secondly, we promise we’re not lying when we tell you that Michael Cera was the voice of Brother Bear on The Berenstain Bears children’s show. The same year he voiced Brother Bear was the first year he co-starred with Jason Bateman in Arrested Development. That show launched him to stardom and is still around today thanks to Netflix. The Berenstain Bears, only stayed around for one season. 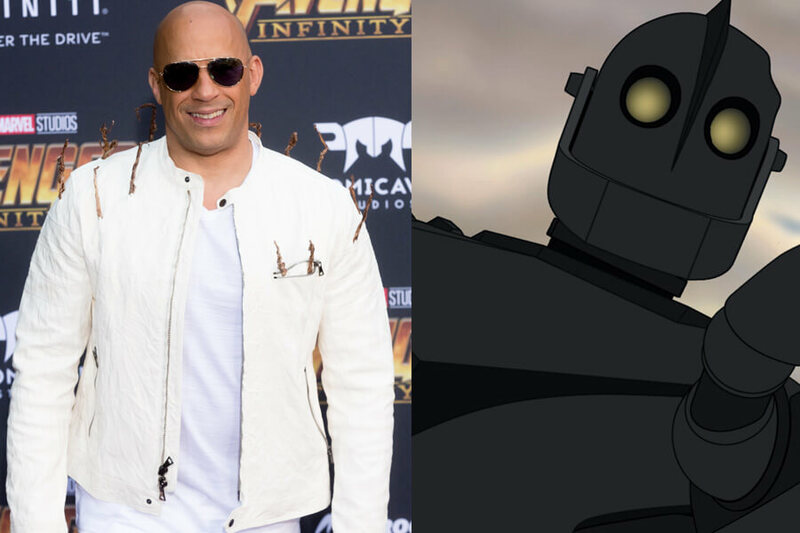 Up next, we reveal Vin Diesel’s first voice role, and it’ll definitely surprise you! Long before he started uttering the phrase, “I am Groot” Vin Diesel was living his life a quarter mile at a time as Dominic Torreto. Three years before that, he voiced the Iron Giant in the movie of the same name. Like Groot in Guardians of the Galaxy, the giant in The Iron Giant didn’t have a lot to say, but Diesel still managed to imbue him with gentle kindness. The film, unfortunately, was a commercial disaster when it was released, although it has achieved classic status in the years since. If you were a child in the ’90s, you watched Captain Planet and the Planeteers. We bet you never realized that Jeff Goldblum was the voice of mutated rat villain Verminous Skumm! For five episodes, Goldblum stole the show in one of his most underappreciated roles. A few short years after playing the villain, Goldblum was given his chance to be a heroic movie star, playing Dr. Ian Malcolm in Jurassic Park and David Levinson inIndependence Day. However, Verminous Skumm will always be our favorite role. In just a few more slides we’ll show you the softer side of Flea! 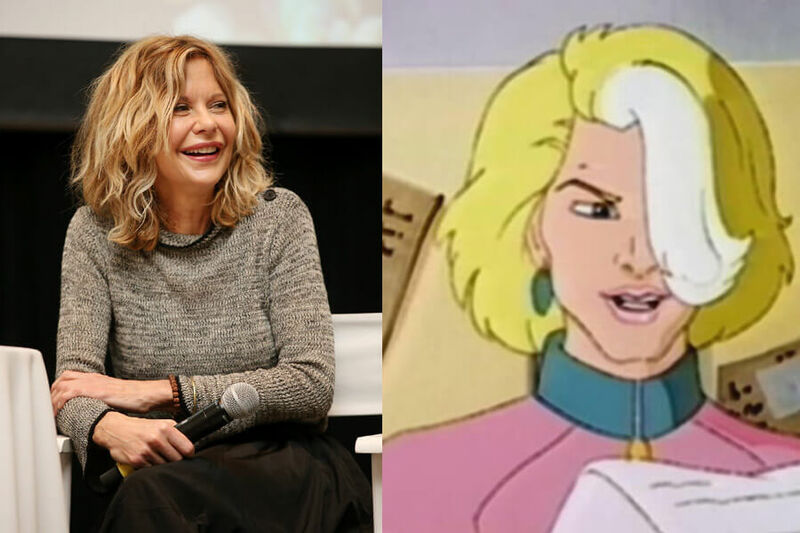 Meg Ryan Got Involved In The Environmentally Friendly Cartoon, Too! Hot off the success of When Harry Met Sally, Meg Ryan joined Jeff Goldblum for a season on Captain Planet. She voiced Dr. Blight for 13 episodes before giving her full attention to big budget Hollywood movies. The show replaced Ryan with Mary Kay Bergman. After Captain Planet, Ryan avoided voice work for seven years. In 1997, she returned to the sound booth to voice the Anastasia in Anastasia. The cartoon failed to find an audience and Ryan avoided voice work for another ten years, lending her voice to The Simpsons for a 2007 episode. You’ve probably seen Red Hot Chili Peppers’ bassist Flea in small parts in live action movies like My Own Private Idaho and Fear and Loathing In Las Vegas, too. We bet you didn’t know he had a soft side, though. If you ever watched The Wild Thornberrys now you know who the voice of Donnie was. Maybe voicing Donnie Thornberry was something he did for kids, or maybe he thought it would just be fun. We just wonder if he ever slept from 1998 to 2004 while voicing Donnie AND touring with his band! 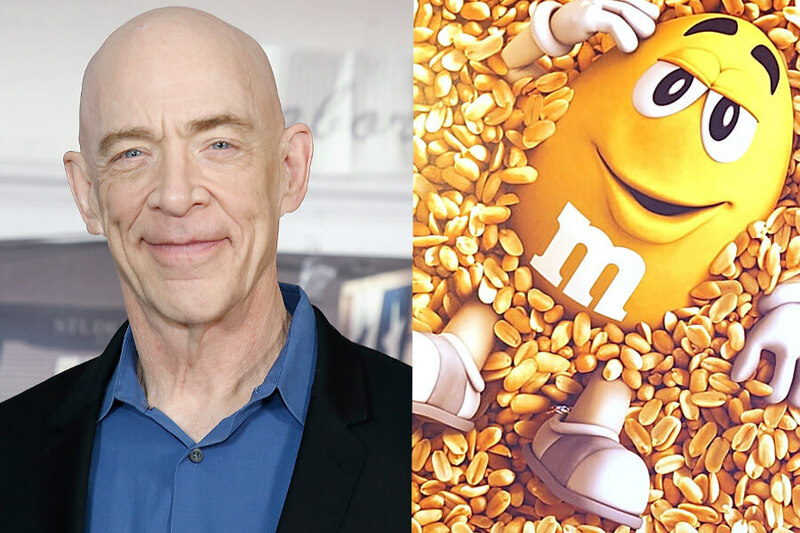 This might be the strangest entry on our list, but did you ever realize the voice of the yellow M&M is J.K. Simmons? That’s right, the Oscar-winning actor has been voicing the sugar-coated candy character in commercials since 1996! Before Simmons voiced Yellow, another iconic actor played the role. Can you guess who it is? It was none other than John Goodman! His performance wasn’t very memorable, however, because he was replaced with Simmons after one year. Simmons still voices Yellow today. 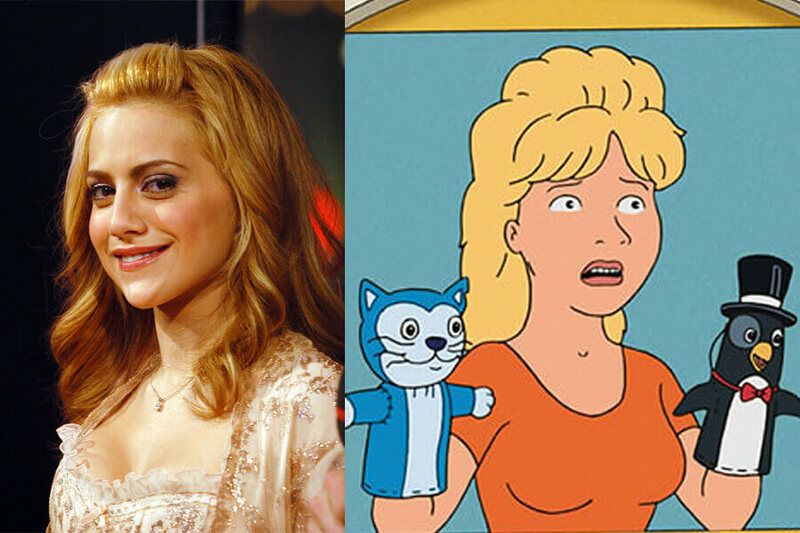 From 1997 until her tragic death in 2009, Brittany Murphy voiced Luanne Platter on King of the Hill. Watching the show today you would never recognize her voice. She completely changed it to become the absent-minded niece of Hank Hill. Luanne wasn’t the only character Murphy lent her voice to. From 1998 until 2000 she was also the voice of Tank, the 8th grader on Pepper Ann. And now that we’ve written the words Pepper Ann, the show’s theme song is stuck in our heads, and probably yours too. 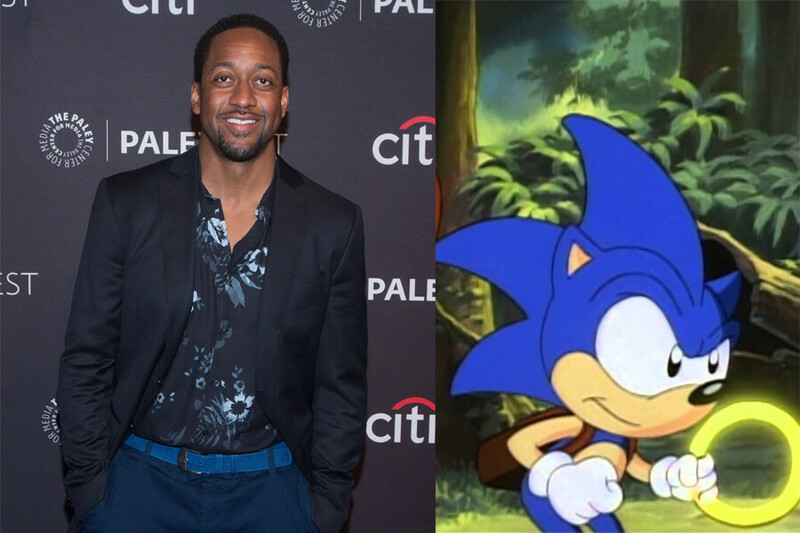 It’s really hard for us to see Jaleel White as any character not named Steve Urkel, but he wasn’t a Hollywood one-trick pony. During his legendary run onFamily Matters he also provided the voice of Sonic the Hedgehog in the animated series. He was 16-years-old at the time. Since his teenage years, White has continued acting, just not always in the most desirable roles. Did you see Mega Shark vs. Crocosaurus? We haven’t, and probably won’t ever. He also returned to television in 20178 as Atticus Ditto Jr. on Trial & Error. It’s time for a quick history lesson. Before Transformers became a live action opera of cinematic mayhem, it was 1985 animated film (and TV series) created to sell toys. The villain in the movie was a planet-eating transformer named Unicron that was voiced by Orson Welles. 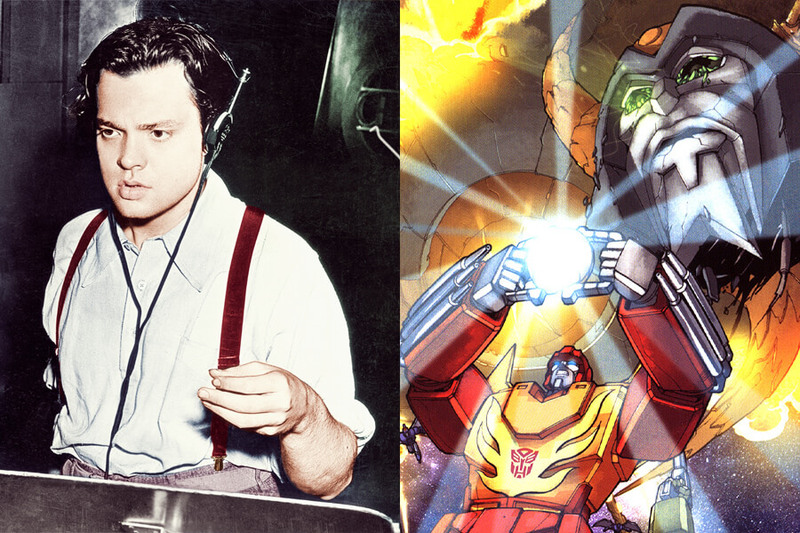 Yes, Orson Welles, the director of Citzen Kane and The Lady from Shanghai, was the voice of Unicron in Transformers: The Movie. Sadly, it was the legendary entertainer’s final role in Hollywood. We wish we knew what that pitch meeting was like. In ’90s, two things were certain, The Fresh Prince of Bel Air was hilarious and The Teenage Mutant Ninja Turtles were awesome. Do you know the reason for that? Our best guess is because James Avery was in both. In Bel Air he played Will Smith’s uncle, and in the sewer he voiced arch nemesis Shredder. 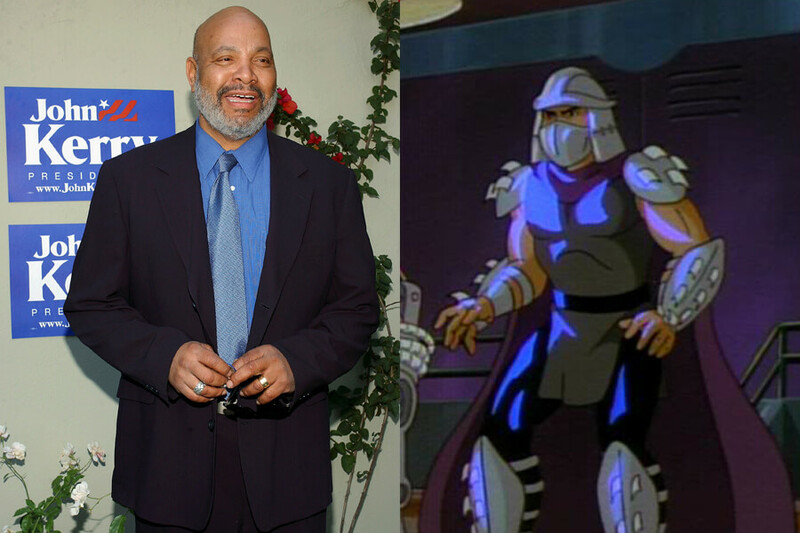 Avery voiced Shredder for the entire run of the animated series, from 1987 to 1993. In 1999, the actor returned to the animation world and stepped into the previously mentioned world of Pepper Ann, voicing Dr. Clapper. Not many shows pulled out all the stops when it came to famous voices like Captain Planet. 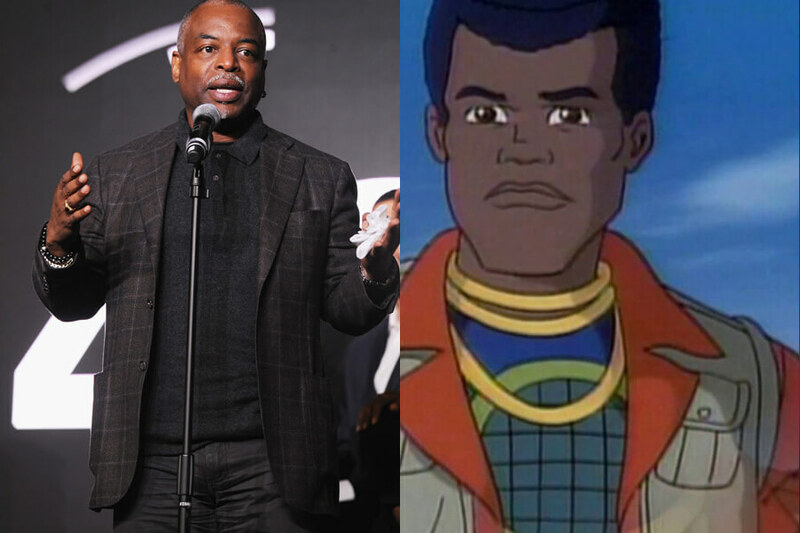 Know best for Star Trek: The Next Generation and Reading Rainbow, Burton supplied the voice of Kwame on the environmentally-friendly show. Kwame, of course, was blessed with the power of Earth and originated from Ghana. He was the first Planeteer to find his power ring and was the quiet and confident leader of group. Kwame is just one of several characters Burton has voiced in his career. He was also Hayden Sloan in Batman The Animated Series. Two years after Ghostbusters became a box office smash, ABC turned it into a cartoon. 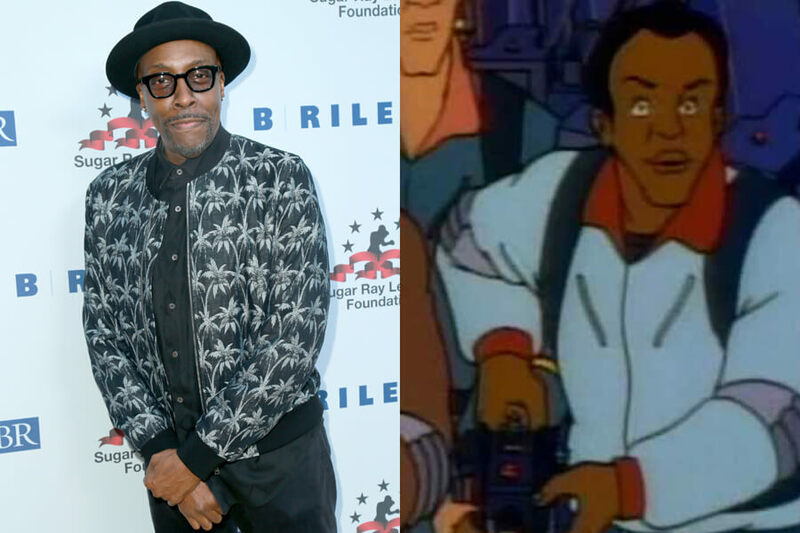 Arsenio Hall was cast as the voice of Winston Zeddemore in The Real Ghostbusters, a part he beat out Ernie Hudson for. Hudson, of course, played the live action version of Winston. Hall voiced Winston for three seasons before leaving to pursue a career in late night television. The Arsenio Hall Show premiered in 1989 and ran for five seasons, ending in 1994. It was rebooted for one final season in 2013, but struggled finding a new audience. Way before he was Raymond’s disgruntled brother on Everybody Loves Raymond, Brad Garrett was just another actor trying to make ends meet. 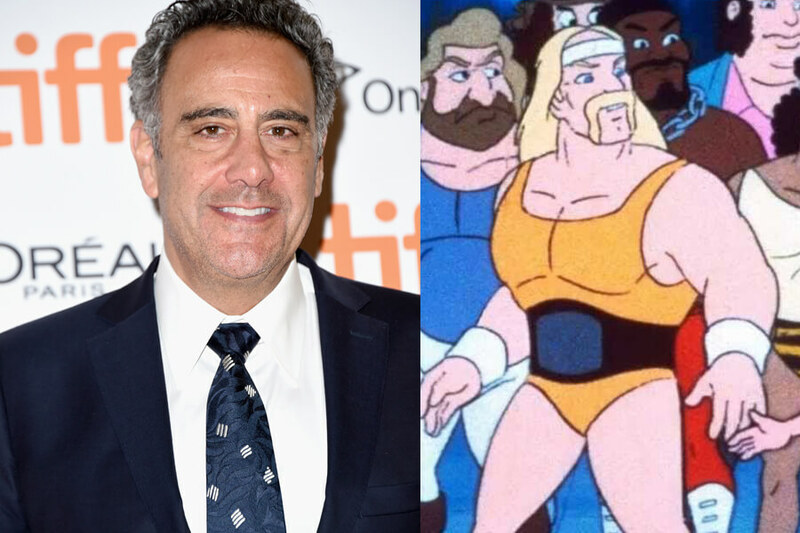 In 1986 he found a paycheck by voicing Hulk Hogan in Hulk Hogan’s Rock ‘n’ Roll Wrestling. The Saturday morning cartoon mercifully only ran for two seasons. Amazingly, Garrett wasn’t the only big name to be a part of the cast. Our friend James Avery voiced Junkyard Dog, who we are assuming was a popular wrestler back then. Another ’90s animated classic, Gargoyles aired from 1994 until 1996 and had one of the best voice casts around. 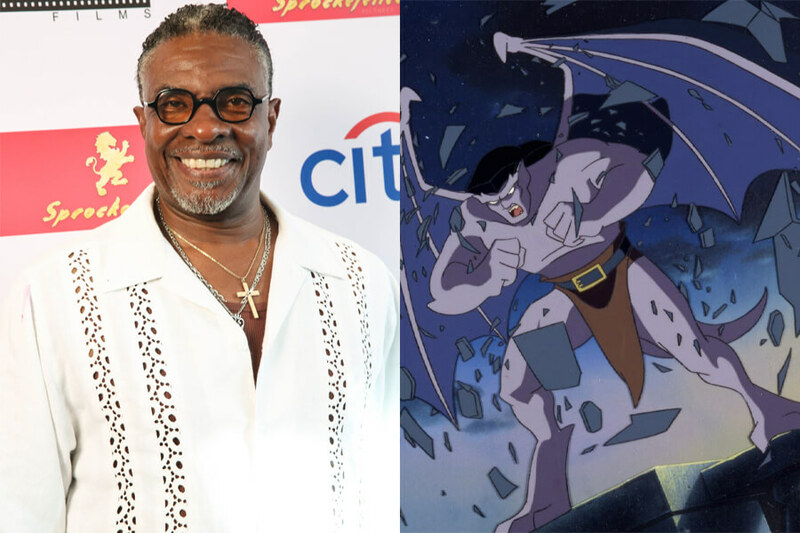 Headlining the show was Keith David, who you’ve definitely seen before, even if you don’t recognize the name. For 61 episodes he voiced Goliath, and was even nominated for an Emmy in 1996. Another recognizable face who supplied a voice for Gargoyles was Jonathan Frakes, who you know better as William Riker in Star Trek: The Next Generation. Legendary actor Ed Asner also supplied the voice of Hudson. 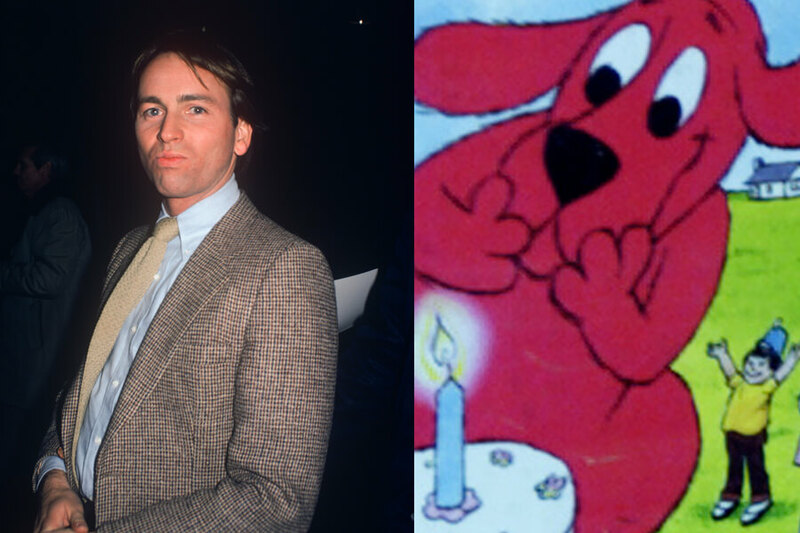 John Ritter, who was most famous for Three’s Company, supplied the voice of Clifford the Big Red Dog during the entire run of the character’s animated program. Airing on PBS, the work that Ritter did helped introduce a new generation of young kids to the classic character. From 2001 until 2004, Ritter was nominated for four straight Emmy’s for his amazing job. If he hadn’t tragically passed away, he probably would have been nominated for a few more. On the next slide we try and name all the characters Phil Hartman voiced! 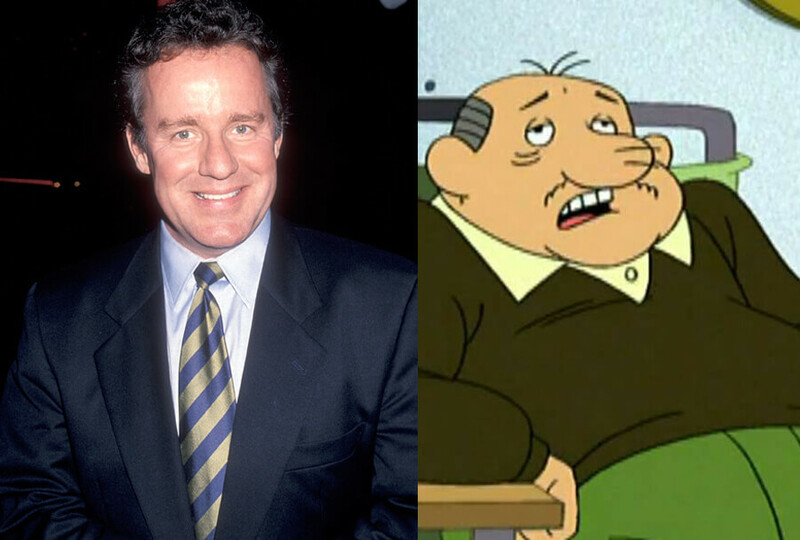 At the same time he debuted on Saturday Night Live, Phil Hartman gave life to Mr. Wilson on Dennis the Menace. After one successful season on the show, he left to give his full attention to SNL, which helped launch him to super stardom. Of course, Dennis the Menace wasn’t the only show Hartman gave his voice too. He also entered the sound booth for Captain Planet, Darkwing Duck, and The Simpsons. His roles in Springfield as Lionel Hutz and Troy McClure still have us laughing today! Have you ever been watching South Park only to be confused confused when George Clooney’s name appears in the credits? That’s okay, so were we, so we looked it up. 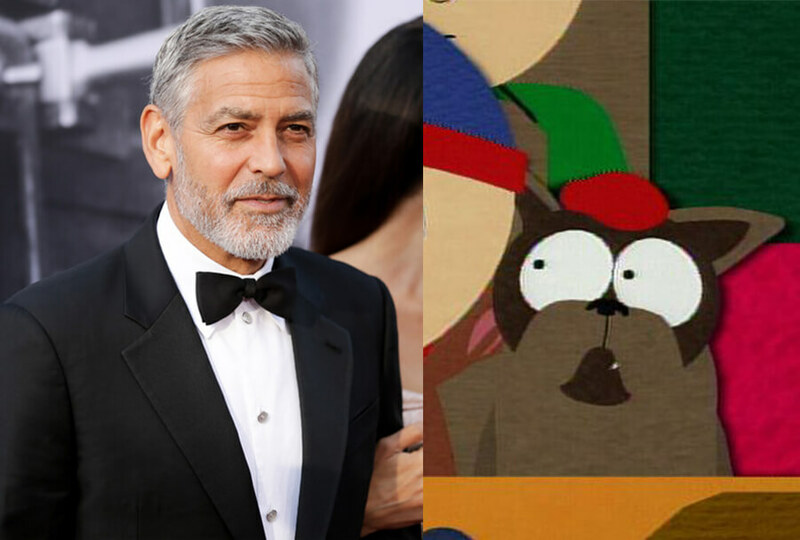 It turns out Clooney is the voice of Sparky the Dog. In other words, all he does is bark. Apparently, Clooney is one of the main reasons the show has been on the air so long. He was one of the first people to watch and support the show. His undying love lead to his very unique opportunity to add his voice to the iconic cartoon. One of the most dominant cartoons from the ’90s was Rugrats. The show was so popular it spawned three feature films. 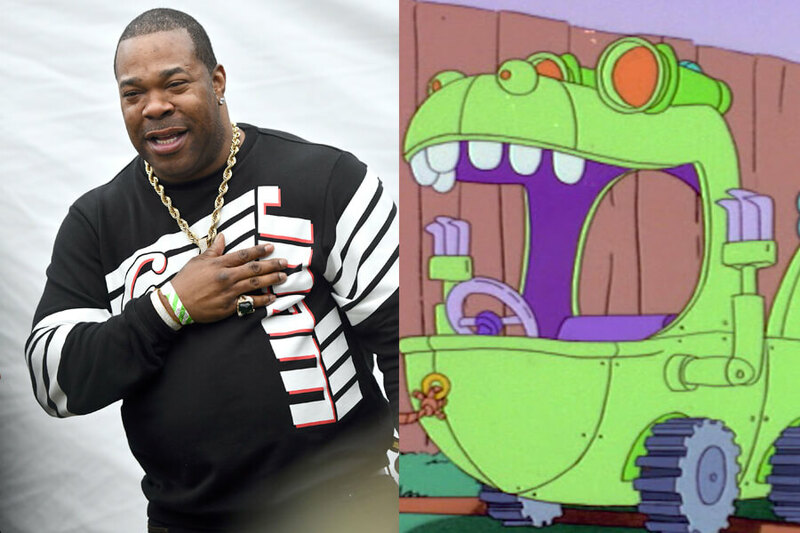 In the first film, Tommy Pickle’s Reptar toy is voiced by Busta Rhymes. That’s a pretty impressive cameo for the classic kids movie! Then again, when a TV show runs for 16 years and has three movies, there are bound to be random celebrity voice cameos. Another favorite of ours is Jon Favreau as Mack Granite. Favreau would go on to direct Elf the next year and then launch the Marvel Cinematic Universe six years later with Iron Man. Tim Curry is one of Hollywood’s most legendary and recognizable actors. 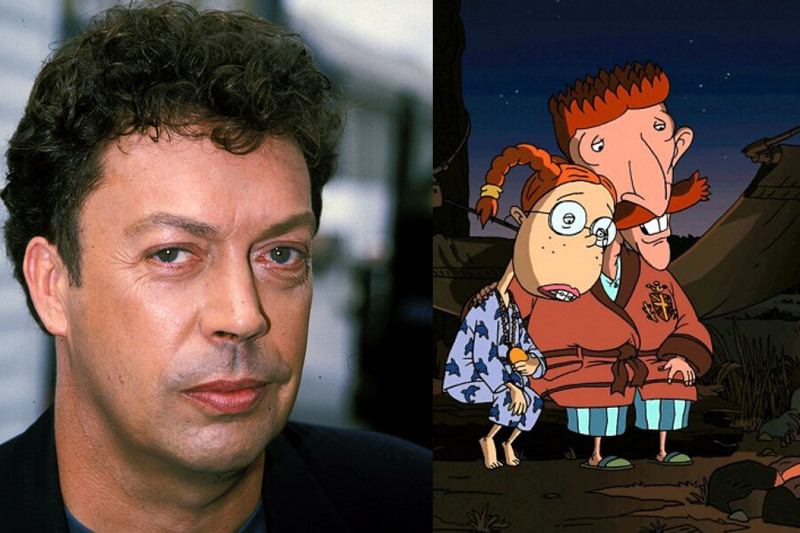 Whether you know him from Rocky Horror Picture Show, Clue, or The Hunt for Red October, you probably never realized he also played Nigel Thornberry in The Wild Thornberrys. Looking at the cast list for the late ’90s Nickelodeon staple is a pretty wild adventure. Not only did the show have Flea and Curry, it also had Lacey Chabert voice Eliza Thornberry. And then, to top it all off, Betty White lent her voice to three episodes as Sophie Hunter.